Coming to Missoula this coming Fathers Day weekend – June 20-21! Hans will be sharing many of the songs Immanuel has enjoyed in worship over the past 20 years – songs like All Are Welcome, Be Still, Glory to the Love, Build Up, Stir Us Lord, Made for Love, ‘Round the Table, Travelers On the Journey, Child of the Water, and many more. Join us for a spirit-filled evening of song and praise. 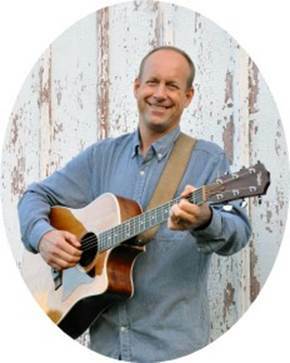 Hans will also be leading worship at Immanuel Lutheran Church on Sunday at 10 am and share tunes that are part of Dakota Road’s Earth Liturgy which Immanuel is using this summer. Hans Peterson – Born and raised in Alaska, Hans began his life in the Midwest at Luther College. Since Graduation he toured with a musical group to West Africa, worked as a youth director/contemporary worship coordinator in Stewartville, MN, lived in an artist cooperative, and served in a Catholic Worker house of hospitality. Hans’ interest in learning and love for music led him to United Seminary (UCC) where he completed a Master’s Degree of Theology in the Arts. He ventures out as a solo artist and with the Dakota Road band, playing both piano and acoustic guitar. Currently he lives with his wife Heidi, and their sons Nelson and Simon on her family’s farm near Jordan, MN. When he is not singing songs, he is picking berries, keeping bees and harvesting hazelnuts.